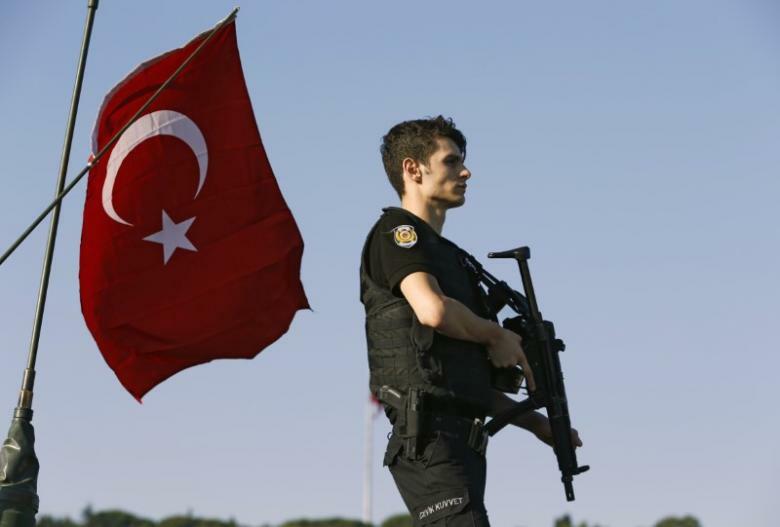 The Turkish Parliament has extended for three more months a state of emergency declared in the aftermath of a failed coup attempt in Turkey on July 15, 2016, the fourth such extension since it was originally put in force. A motion to extend the state of emergency was submitted to the Parliament Speaker’s Office on Monday and voted by the General Assembly. The state of emergency, known as OHAL, has been in force since July 20 of last year, after the putsch. It has been extended several times and would normally expire on July 19. The European Union has been calling on Turkey to end the state of emergency since last fall. The main opposition Republican People’s Party (CHP) and the Peoples’ Democratic Party (HDP) strongly oppose the state of emergency. President Recep Tayyip Erdoğan strongly supports the continuation of emergency rule despite widespread criticism. He recently said the state of emergency would continue as long as the fight against terrorism continues. Turkey has suspended or dismissed about 160,000 judges, teachers, academics, police and civil servants since July 15. Turkish Justice Minister Bekir Bozdağ announced on July 7, 2017 that at least 50,504 people have been arrested and 168,801 are the subject of legal proceedings. The state of emergency will remain in effect until at least Oct.19.